Boost motivation and excitement about teaching despite entrenched obstacles and daily frustrations. Teachers will discover numerous ideas for strengthening their practice and investing in student success. This webinar is an indispensable must for teachers who want to give their absolute best in the classroom at all times and under all circumstances. 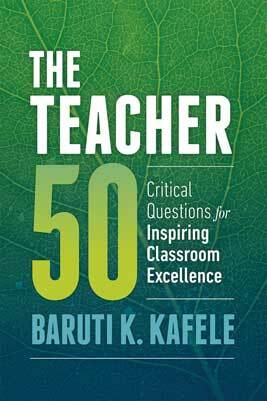 Baruti Kafele has been a highly regarded urban public school educator in New Jersey for nearly 30 years and has distinguished himself both as a classroom teacher and as a school principal.